Skotte is showing his secret hero identity in this shirt. 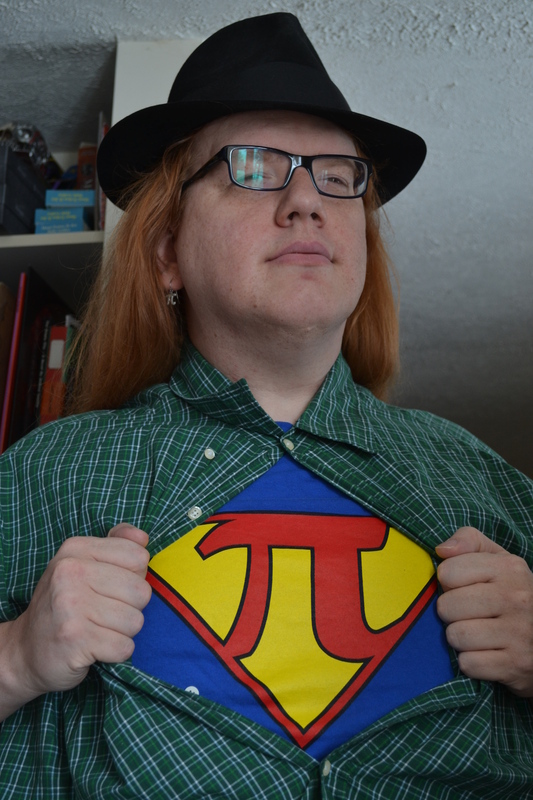 As I speak, Super-Skotte is delivering 4 Pi Day Pies to his coworkers for a midnight unveiling. Don’t worry, we’ll have pictures! If this scene looks familiar, it might be because we also own a Superman shirt.